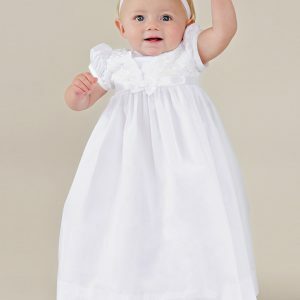 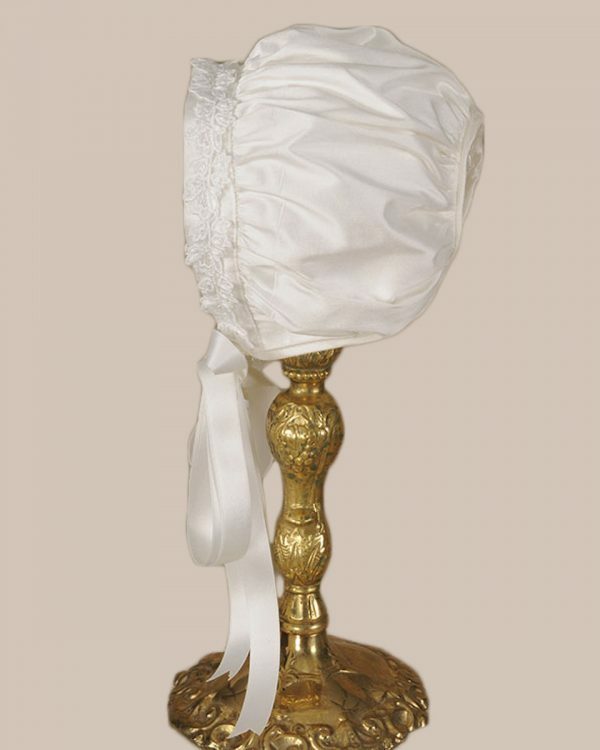 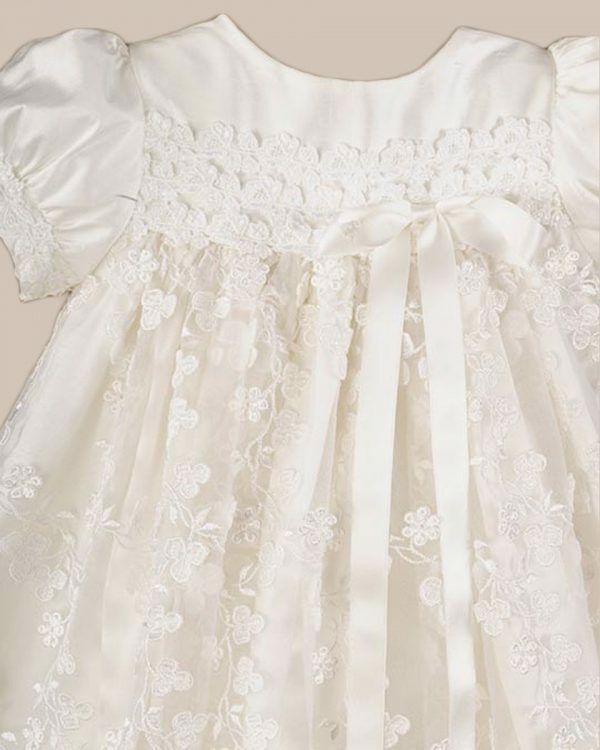 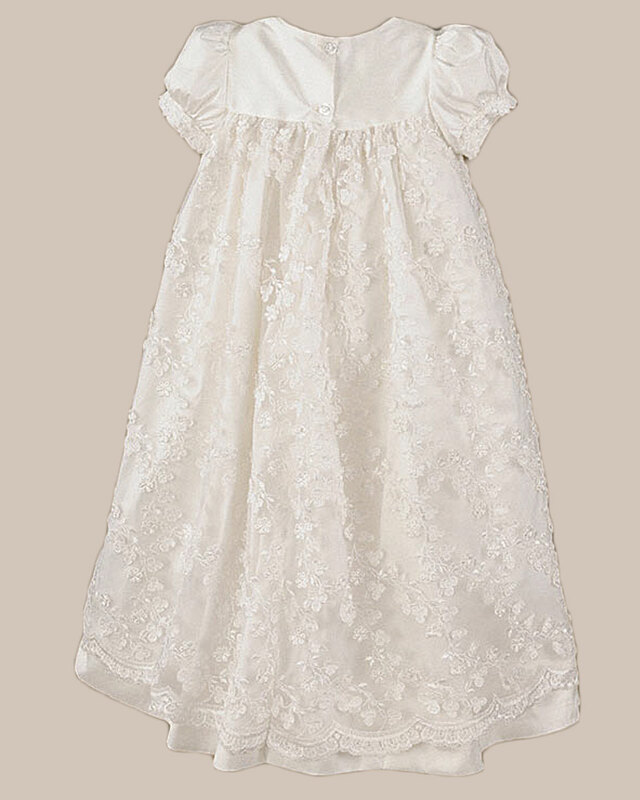 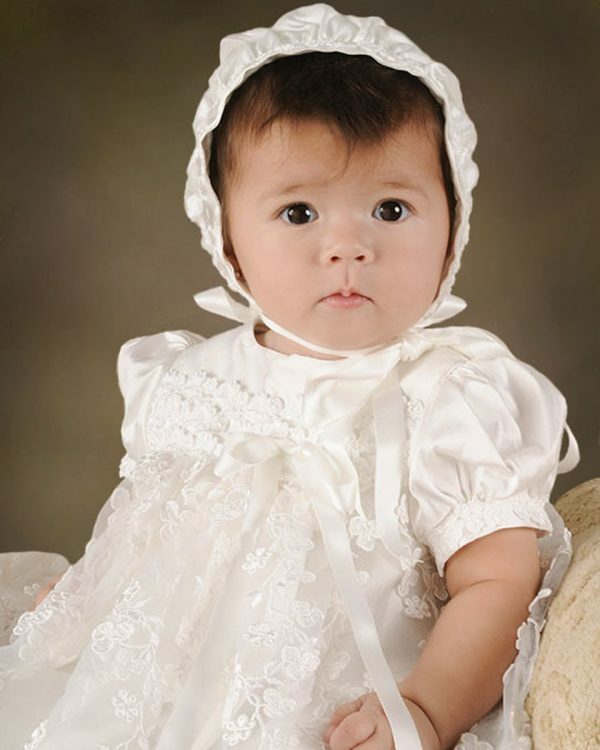 Beautiful ideas for christening, baby, and kids for over 30 years. 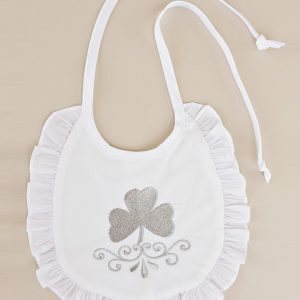 Simple, elegant styling features shamrock organza with silk ribbon bow accent. 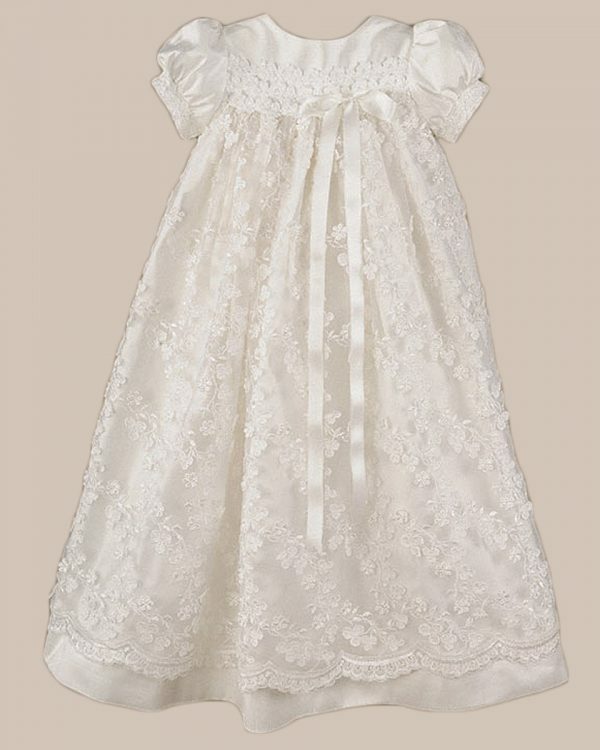 This luxurious 3 piece silk gown features shamrock organza, embellished with beautiful venice lace and a sweet silk ribbon bow. 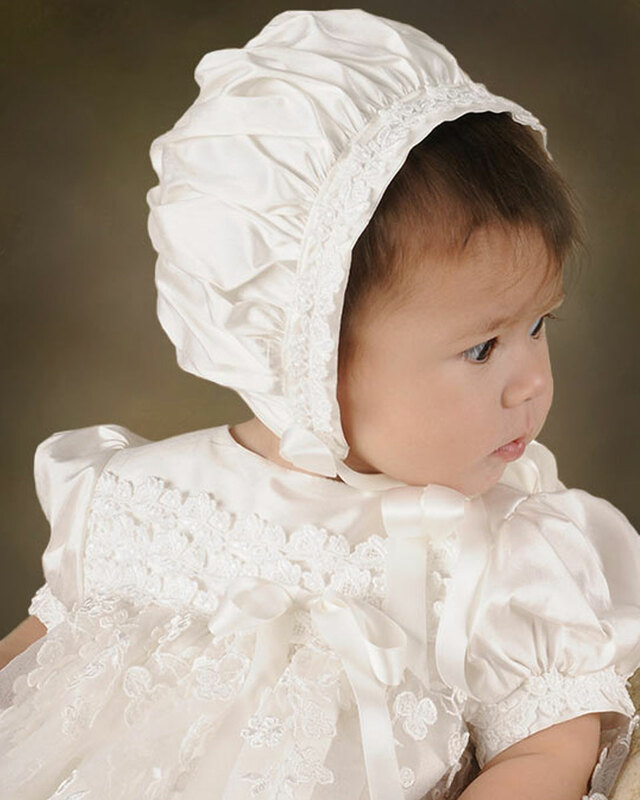 Copyright © 2004-2018 One Small Child - Nextphase, Inc.